In 2002 and 2003, assistant U.S. attorney general John Yoo, at the U.S. department of justice, authored now-infamous ‘torture memos’ providing legal justification for ‘enhanced interrogation’ techniques, which the administration of U.S. president George W. Bush would proceed to employ against ‘unlawful combatants,’ and in violation of the Geneva Conventions, according to many legal scholars (outside the Bush administration, at least). Although we don’t know who wrote it or when it was written, there’s some parallelism in the ‘white paper’ from the justice department of U.S. president Barack Obama, made public today by NBC News, offering up the legal justification for the targeted killing of U.S. citizens who are senior operational leaders of al Qaeda or an associated force of al Qaeda. “The condition that an operational leader present an ‘imminent’ threat of violent attack against the United States does not require the United States to have clear evidence that a specific attack on U.S. persons and interests will take place in the immediate future,” the memo states. The United States, first under the Bush administration, but at a vastly accelerated pace under the Obama administration, has used unmanned drones to attack targets in Yemen, Somalia and Pakistan (to say nothing of what we don’t know about their use in more conventional military theaters, such as Iraq, Afghanistan and Libya over the past decade) — it seems reasonable to believe that drones could soon be used in Afghanistan after U.S. troops leave that country next year, and U.S. capability for drone use in Mali or elsewhere in north Africa would likewise not be a difficult task. The leaked memo comes day before Congressional hearings on John Brennan’s appointment as Obama’s new director of the Central Intelligence Agency. There’s not much I can add to what others have already said about the Obama administration memo, though it may well come to define this administration’s unique ‘addition’ to the expanding nature of executive power in the United States, to the detriment of U.S. constitutional civil liberties and even international law. In September 2011, the United States attacked two U.S. citizens, Anwar Awlaki and Samir Khan, in a drone attack in Yemen and, more perhaps troubling, killed Awlaki’s 16-year old son, Abdulrahman, also a U.S. citizen, in a subsequent attack. The core distortion of the War on Terror under both Bush and Obama is the Orwellian practice of equating government accusations of terrorism with proof of guilt. One constantly hears US government defenders referring to “terrorists” when what they actually mean is: those accused by the government of terrorism. This entire memo is grounded in this deceit…. My colleagues will have more to say about the white paper soon, but my initial reaction is that the paper only underscores the irresponsible extravagance of the government’s central claim. Even if the Obama administration is convinced of its own fundamental trustworthiness, the power this white paper sets out will be available to every future president—and every “informed high-level official” (! )—in every future conflict. As I said to Isikoff, that’s truly a chilling thought. Although the memo itself could well stand as an important turning point in the Obama administration’s controversial justification for executing U.S. citizens without due process, what seems even clearer is that as Obama’s second term unfolds, we can expect the continuation and proliferation of the use of drone attacks. Given the zeal with which U.S. policymakers are apparently pursuing U.S. citizens in Yemen, Pakistan and Somalia, it seems certain that the Obama administration is even more audacious in its approach to the protection of non-U.S. citizens. The question Americans need to put to ourselves is whether we would mind if China or Russia or Iran or Pakistan were to be guided by the Obama administration’s sketchy rulebook in their drone campaigns. Bomb-dropping remote-controlled planes will soon be commonplace. What if, by another country’s reasonable lights, America’s drone attacks count as terrorism? What if, according to the general principles implicitly governing the Obama administration’s own drone campaign, 1600 Pennsylvania Avenue turns out to be a legitimate target for another country’s drones? Were we to will Mr Obama’s rules of engagement as universal law, a la Kant, would we find ourselves in harm’s way? I suspect we would. As such, stunning as today’s news is, it’s worth pausing to consider the effects on each of the three countries where the Obama administration is known to be operating drones — as critics note, the drone attacks could ultimately backfire on long-term U.S. interests by antagonizing Muslims outside the United States and potentially radicalizing non-U.S. citizens into supporting more radical forms of terrorism against the United States in the future. The Bureau of Investigative Journalism reports that in Pakistan, the Obama administration alone has conducted 310 drone strikes, with up to 3,400 people killed, including between 475 and 891 civilians. Pakistan’s central government is notoriously corrupt, and the United States launched its raid in May 2011 that ended in the death of al Qaeda leader Osama bin Laden without bothering to alert Pakistani military or civilian leaders, for fear that the news would leak back to bin Laden. Pakistan’s government also lacks control over the so-called ‘federally administered tribal areas,’ which are anything but federally administered. Although FATA, which includes Waziristan, contains just 2.3% of Pakistan’s population, its porous border with Afghanistan has made it a convenient no-man’s-land that’s been sort of outside the control of any national government and that’s been as much a target of the 12-year-long U.S. military action in Afghanistan as any Afghan province. Waziristan has been the most active theater for the U.S. drone attacks — just last month, a U.S. drone killed Taliban warlord Maulvi Nazir Wazir, reportedly a powerful elder of the Wazir tribe and who had argued, in contrast to other Pakistani Taliban leaders, that the Taliban fight should be against U.S. soldiers in Afghanistan and not against Pakistani troops in Pakistan. But the increasing drone attacks are fast becoming a political issue in Pakistan, which is nearly completing the first full civilian term of office since partition from India in 1947 under the Pakistan People’s Party (اکستان پیپلز پارٹی, or the PPP), and which is headed to national elections later this spring. The PPP seems likely to lose power, due to the flickering Pakistani economy, ongoing corruption and a constitutional showdown between the PPP-backed president, Asif Ali Zardari (the widower of former Pakistani prime minister Benazir Bhutto), the PPP-led government and Pakistan’s Supreme Court. The likely next prime minister of Pakistan will be Nawaz Sharif, leader of the conservative, more rural Pakistan Muslim League (N) (اکستان مسلم لیگ ن, or the PML-N). Sharif previously served as prime minister from 1990 to 1993 and from 1997 until Pervez Musharraf’s military coup in 1999, and he has called for the United States to terminate its drone attacks. Already, Imran Khan made headlines in October 2012 by leading a ‘peace rally’ to the Waziristan border in protest of the drone strikes and the Pakistani civilian casualties caused by the strikes. Although Khan, a former cricket star, is seen as somewhat of a grandstanding gadfly of Pakistani politics, he could well come to embody a kind of anti-American nationalism in the upcoming elections. Given the strongly pro-American military in Pakistan, it seems unlikely that Sharif, as prime minister, would force a full diplomatic crisis with the United States, but drone attacks seem certain to become a hot-button issue in the upcoming election and an increasingly sore spot in U.S.-Pakistani relations. While dismissing drone strikes as “operationally counterproductive,” Rehman said Pakistan wants to continue to cooperate with the U.S. on counter-terrorism operations, especially as U.S. and allied conventional forces are drawing down in neighboring Afghanistan. But she portrayed the U.S. and Pakistani disagreement over the armed drone program as an obstacle. “The drones are the red line here,” she said. She was dismissive of the 12-year U.S. effort in Afghanistan, observing that “clearly, force has not been an answer over the years.” She said the border between Pakistan and Afghanistan has become more turbulent, despite what she described as a determined Pakistani effort to control cross-border operations by the Taliban and other militant groups. And she rejected U.S. criticisms that Pakistan has allowed the Taliban sanctuary inside its territory. All of which means that the drone attacks could threaten the incredibly fragile gains Pakistan has made in institutionalizing a culture of respect for democratic norms — any turbulence could well precipitate an all-too familiar military coup in the world’s sixth-most populous country (with 182 million people). In Yemen, the Bureau of Investigative Journalism reports that the United States has conducted at least 42 drone strikes, with anywhere from 374 to 1,112 people killed, including between 72 and 178 civilians. Like Pakistan, Yemen features a very fragile turn toward greater democracy and a government that lacks total control of its territory — and like in Pakistan, the drone attacks could also potentially complicate efforts to consolidate a more responsible and capable Yemeni government. A country of 25 million, Yemen is split between a predominantly Zaidi Shi’a north and a Sunni south, and it’s important to note that from 1962 until 1990, Yemen was split into a northern Yemen Arab Republic with its capital in Sana’a, and the southern People’s Democratic Republic of Yemen with its capital in Aden, which itself coincided with a civil war in northern Yemen from 1962 to 1970 between the Egyptian-backed republicans and the Saudi-backed royalists. The northern Yemen republic only fully took control of the full ‘Unified Republic of Yemen’ after the civil war between the two regions ended. Throughout the 2000s, the Yemeni government dealt with simmering protests of southern Yemenis angry with the disproportionate advantage of northern Yemenis, as well as a Shi’a rebel movement based in northern Yemen. Al Qaeda took advantage of the turmoil, using Yemen as an additional Arabian base for terrorist operations, formally establishing in 2009 an Arabian branch, al Qaeda in the Arabian Peninsula (AQAP) based in Yemen. During the ‘Arab Spring’ movement in early 2011, Yemen initially seemed the most conducive country outside the Maghreb to regime-changing protests and by November 2011, Ali Abdallah Saleh, Yemen’s president since 1990 (and president of northern Yemen since 1978), agreed to step down in favor of his deputy, Abdrabbuh Mansour Hadi, who took office in February 2012. Yemen will now proceed to revise its constitution and then conduct full elections, currently planned for 2014. But constitution-writing and democratic elections have proven incredibly delicate and wrought tasks for comparatively stable countries like Tunisia and Egypt — Yemen will be attempting to do so in the face of ongoing security and economic crises for the government. Despite the Yemeni government’s cooperation with the U.S. government in eliminating and destabilizing AQAP, including its implicit support of U.S.-led drone strikes, increasing attacks and civilian casualties might only embolden AQAP and build anti-American sentiment. A May 2012 suicide attack carried out by AQAP during a parade in Sana’a on Yemen’s national day killed over 100 people, making it one of the deadliest attacks in Yemeni history, and AQAP remains one of the most active remaining terrorist groups in the world. 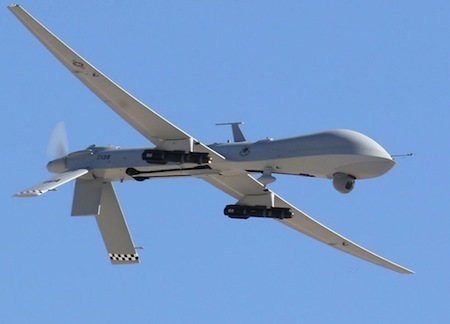 Finally, in Somalia, the Bureau of Investigative Journalism reports that the United States has conducted between three and nine drone strikes, with 58 to 170 people killed, including between 11 and 57 civilians. Although it’s by far seen the least number of reported drone attacks, Somalia is also at a delicate phase in its own struggle for security. Somalia is hopeful that its new president, Hasan Sheikh Mahmoud, appointed in September 2012, will succeed for the first time where 15 governments over the past 18 years have failed. Since the fall of the regime of longtime ruler Siad Barre fell in 1991 and ensuing civil war, Somalia has become notorious as one of the world’s most failed nation-states — fragmented and, throughout much of the 2000s, a base for piracy along the Horn of Africa, not to mention foreign al Qaeda elements and Somalia’s homegrown radical Islamic group, al Shabaab. Puntland, in the north (along the actual Horn of Africa), and Somaliland, in the west (bordering Djibouti and Ethiopia on one side and the Gulf of Aden on the other), have already essentially declared their independence from the central Somali government, and the core southern part of Somalia that remained was in radical Islamist hands throughout much of the 2000s, leading to an Ethiopian-led and U.S.-backed military effort to oust them from 2006 through 2009, and a Kenyan-led effort against al Shabaab starting in 2011. Kismayo, Somalia’s second-largest port, and the last major al Shabaab stronghold, however, fell in October 2012, and Mahmoud appointed fellow businessman Abdi Farah Shirdon Saaid as Somalia’s new prime minister. A former British colony, like Pakistan, with a population of just 10 million people, it’s also one of the poorest countries in the world and suffered through a severe drought and famine in 2011.